Balancing formula for detoxification & rejuvenation . Assists natural internal cleansing . Gently maintains regularity . Nourishes and rejuvenates the tissues . 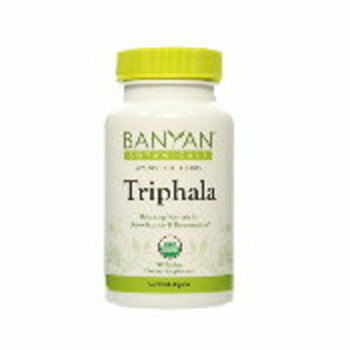 Supports healthy digestion and absorption Natural antioxidant Ayurvedic Energetics: . Rasa (taste): sweet, sour, pungent, bitter, astringent . Virya (action): neutral . Vipaka (post-digestive effect): sweet Doshas (constitutions): Balancing for all doshas 500 mg. tablets, 90 per bottle.